Friandiz & Ko is a new business with potential. They are bringing a classic French custard recipe to the UK. 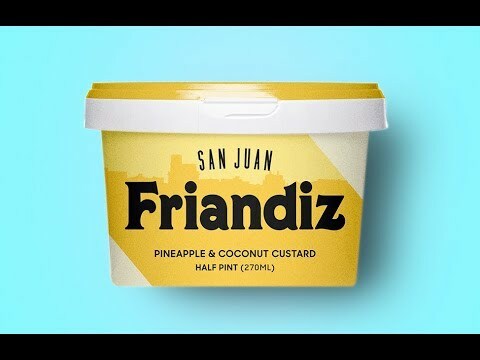 Friandiz Founder Sandrine came to the United Kingdom with a mission: to bring a classic French recipe for flavoured custard to the British public. This type of custard has been known and loved in France for centuries. However Sandrine has given it a modern spin and added new flavours. She has tested the UK market extensively and obtained pre-orders. Fund her first production run and initial set-up here and see Friandiz & Ko take off. In return you'll earn 9.5% profit, paid in just 6 months. Friandiz & Ko successfully raised £8,000 to fund the production of 4,000 pots 434 days ago. Check back soon for more offers. Friandiz started life exactly one year ago when Founder Sandrine began by making and selling chocolate biscuits for charities at La Courtauld. She then decided to do something unique. 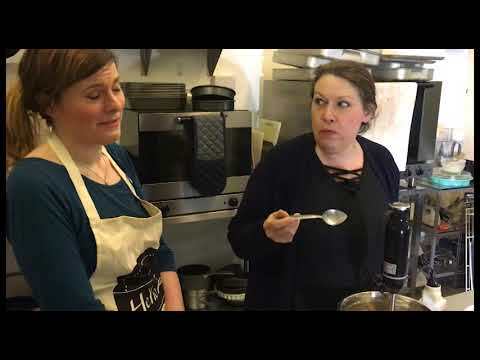 With a colleague, Sandrine decided to re-work a traditional French recipe for butter-based custard. She invented new flavours which she named after cities. Experts agree: the product is delicious and well-balanced. So Frandiz custard was born. Spotting an opportunity in the UK, Sandrine has set up her business in London and it now only requires a small final push before achieving take-off. With its 5 key flavours and pre-orders from independent shops, Friandiz & Ko also has an accountant and a graphic designer ready to take the brand to Britain and later to the world. A number of high profile buyers have also been identified through several trade fairs including Food Matters Live. Friandiz & Ko is ready to start selling in the wider London market. Pre-orders have been obtained from independent shops such as CanDo Coffee in Paddington, Pretty Cuppa in Brick Lane and Aux Pains de Papy Bakery. Sandrine is also in discussions with Amazon, Selfridges and several food associations and wholesalers. Sandrine requires £8,000 for Friandiz to be able to take the last step. This will be spent on purchasing a printing machine for packaging, renting a larger kitchen and storage space, hiring staff, marketing and purchasing raw materials. Friandiz expects to sell 700 pots per month, rising to 1,000 by the end of 6 months. At a price of £2.50/pot this will earn her revenue of £1,750/month from March onwards. Recommended retail price is £4.99. Sandrine is confident she will repay the funding in 6 months, plus 9.5% profit.